Deborah Fairfull A gentle reminder to us all (including myself) to trust ourselves. Listen to that wise, kind voice within that wants the best for you. Often you will experience your inner voice as insights or "knowings". The more you tune in and listen to your inner... moreA gentle reminder to us all (including myself) to trust ourselves. Listen to that wise, kind voice within that wants the best for you. Often you will experience your inner voice as insights or "knowings". The more you tune in and listen to your inner wisdom the easier it becomes to know and trust yourself. A gentle reminder to us all (including myself) to trust ourselves. Listen to that wise, kind voice within that wants the best for you. Often you will experience your inner voice as insights or "knowings". 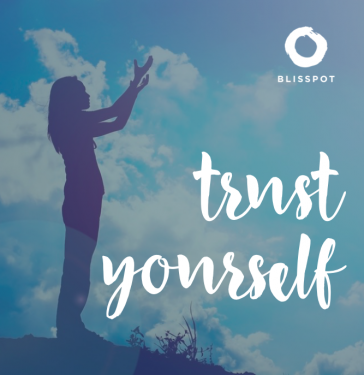 The more you tune in and listen to your... moreA gentle reminder to us all (including myself) to trust ourselves. Listen to that wise, kind voice within that wants the best for you. Often you will experience your inner voice as insights or "knowings". The more you tune in and listen to your inner wisdom the easier it becomes to know and trust yourself.